Oak Park’s summer-long series centered around one great read returns! This season, we will explore the public good of social infrastructure. 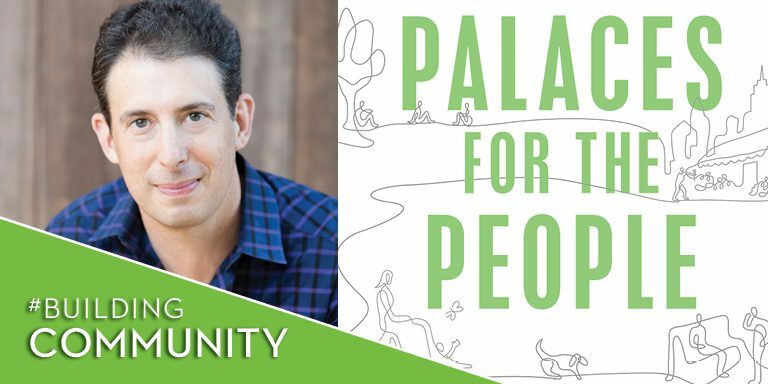 Join us as we build community by reading, gathering, and discussing themes from Eric Klinenberg’s Palaces for the People. In Palaces for the People, best-selling author and eminent sociologist Eric Klinenberg offers an inspiring blueprint for rebuilding our fractured society. We are living in a time of deep divisions. Americans are sorting themselves along racial, religious, and cultural lines, leading to a level of polarization that the country hasn’t seen since the Civil War. Pundits and politicians are calling for us to come together, to find common purpose. But how, exactly, can this be done? Klinenberg suggests a way forward. A Professor of Sociology and Director of the Institute for Public Knowledge at New York University, Klinenberg has published scholarly work in journals including the American Sociological Review, Theory and Society, and Ethnography. He is the author of Going Solo: The Extraordinary Rise and Surprising Appeal of Living Alone (The Penguin Press, 2012); Fighting for Air: The Battle to Control America’s Media (Metropolitan Books, 2007); and Heat Wave: A Social Autopsy of Disaster in Chicago (University of Chicago Press, 2002). Borrow this title from any Oak Park library location and as an ebook and digital audiobook through OverDrive. Like Palaces for the People? Check the event list on this page (more coming soon!) and follow your library on Facebook for all related One Book events, happening June through August at multiple locations. In its sixth year, One Book, One Oak Park is our community-wide summer reading program for adults and teens. It offers neighbors, families and friends opportunities to connect, learn, and grow by reading and discussing themes explored in one specific title.